Thank you for signing up for Amira K. Makansi’s mailing list. 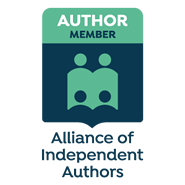 By signing up, you agree to receive occasional emails with details about free or discounted books, exciting news about forthcoming publications and future books, and deep expressions of gratitude. Thank you for being a part of my journey! When accessing the http://thezaxis.co website, my hosting service, WordPress, will learn certain information about you during your visit. Similar to other commercial websites, my website utilizes a standard technology called “cookies” and server logs to collect information about how our site is used and accessed. Information gathered through cookies and server logs may include the date and time of visits, the pages viewed, time spent at our site, and the websites visited just before and just after our own, as well as your IP address. If you choose to correspond with me through email, I may retain the content of your email messages together with your email address and my responses. I provide the same protections for these electronic communications that I employ in the maintenance of information received online, mail and telephone. This also applies when you register for my website or sign up through any of my forms using your email address. For further information see the email policies below. Broadly speaking, I use personal information for purposes of administering our business activities, providing customer service and making available other items and services to my customers and prospective customers. I will not obtain personally-identifying information about you when you visit my site, unless you choose to provide such information, nor will such information be sold or otherwise transferred to unaffiliated third parties without the express written approval of the user at the time of collection. I am committed to keeping your e-mail address confidential. I do not sell, rent, or lease our subscription lists to third parties, and I will not provide your personal information to any third party individual, government agency, or company at any time unless strictly compelled to do so by law. I will use your e-mail address solely to provide timely information about my forthcoming books, promotional activities, publications, writings, art, or other creative products that might or might not happen to come from my brain. In compliance with the CAN-SPAM Act, all e-mail sent from my organization will clearly state who the e-mail is from and provide clear information on how to contact the sender. In addition, all e-mail messages will also contain concise information on how to remove yourself from our mailing list so that you may choose to receive no further e-mail communication from us. This site provides users the opportunity to opt-out of receiving communications from me and my partners by reading the unsubscribe instructions located at the bottom of any e-mail they receive from us at anytime. Users who no longer wish to receive my newsletter or promotional materials may opt-out of receiving these communications by clicking on the unsubscribe link in the e-mail. http://thezaxis.co may contain links to many other websites, and I cannot guarantee the accuracy of information found at any linked site. Links to or from external sites not owned or controlled by do not constitute an endorsement by or any of its employees of the sponsors of these sites or the products or information presented therein. By accessing this web site, you are agreeing to be bound by these Terms and Conditions of Use, all applicable laws and regulations, and agree that you are responsible for compliance with any applicable local laws. If you do not agree with any of these terms, you are prohibited from using or accessing this site. The materials contained in this web site are protected by applicable copyright and trademark law. All copyrights, trademarks, patents and other intellectual property rights in and on my website and all content and software located on the site shall remain the sole property of its licensors. The use of trademarks, content and intellectual property from this website is forbidden without the express written consent of Amira K. Makansi. Republish material from this website without prior written consent. Sell or rent material from this website. Reproduce, duplicate, create derivative, copy or otherwise exploit material on this website for any purpose. You agree to use my website only for lawful purposes, and in a way that does not infringe the rights of, restrict or inhibit anyone else’s use and enjoyment of the website. Prohibited behavior includes harassing or causing distress or inconvenience to any other user, transmitting obscene or offensive content or disrupting the normal flow of dialogue. You must not use my website to send unsolicited commercial communications. Such use shall be considered spam and a violation of national law. You must not use the content on my website for any marketing related purpose without my express written consent. I may in the future need to restrict access to parts (or all) of our website and reserve full rights to do so. If, at any point, I provide you with a username and password for you to access restricted areas of our website, it is your responsibility to ensure that both your username and password are kept confidential. The testimonials displayed in any form on this site (text, audio, video or other) are reproduced verbatim, except for correction of grammatical or typing errors. Some may have been shortened. In other words, the entirety of the message composed by the testimonial writer might not be displayed when it seems too lengthy or the whole statement is not relevant for the general public. Amira K. Makansi is not responsible for any of the opinions or comments posted on http://thezaxis.co. This website is not a forum for testimonials, however provides testimonials as a means for customers to share their experiences with one another. To protect against abuse, all testimonials appear after they have been reviewed by management. It is not a guarantee that Amira K. Makansi or anyone affiliated with the management of this site shares the opinions, views or commentary of any testimonials on http://thezaxis.co. Such opinions are strictly the views of the testimonial source. Any testimonials present on this site are not intended to make claims that our products and/or services can be used to diagnose, treat, cure, mitigate or prevent any disease. Any such claims, implicit or explicit, in any shape or form, have not been clinically tested or evaluated. Email is not recognized as a secure medium of communication. For this reason, I request that you do not send private information by email. However, doing so is allowed, but at your own risk. Some of the information you may enter on our website may be transmitted securely via a secure medium known as Secure Sockets Layer, or SSL. Credit Card information and other sensitive information should never be transmitted via email. This site may use software programs to create summary statistics, which are used for such purposes as assessing the number of visitors to the different sections of our site, what information is of most and least interest, determining technical design specifications, and identifying system performance or problem areas. For site security purposes and to ensure that this service remains available to all users, this site uses software programs to monitor network traffic to identify unauthorized attempts to upload or change information, or otherwise cause damage. Amira K. Makansi makes no representations, warranties, or assurances as to the accuracy, currency or completeness of the content contain on this website or any sites linked to this site. I am committed to conducting my business in accordance with these principles in order to ensure that the confidentiality of personal information is protected and maintained.